The ANKER Euro Cash Cassette is used at professional cashier stations with limited space and high requirements for ergonomics. 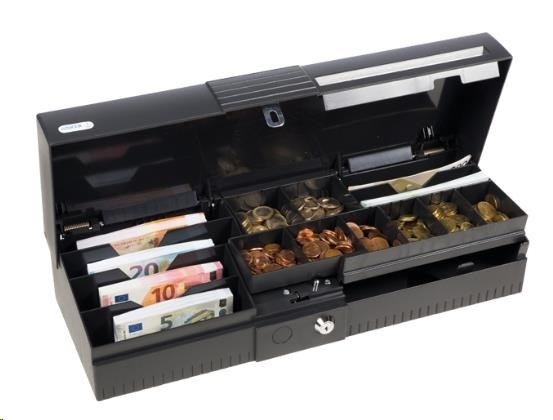 The lift-up lid cassette needs very little place, and with eight coin, six banknote and one cheque compartment, it offers more space for cash than some large cash drawers. Instead of depositing the notes, they are placed in the appropriate compartments. The compartments for coins can be removed separately and allow for versatile organisation. 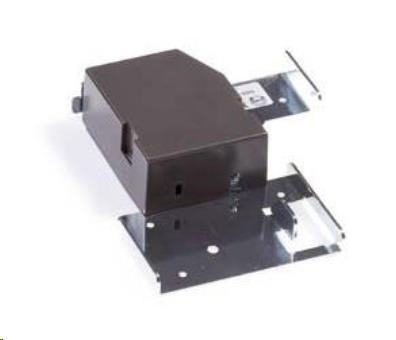 The stabile plastic housing is made of shatterproof ABS plastic. It is locked on a base plate that is bolted to the cashier station. This makes changing cashiers easier, because each cashier brings their own closed cash drawer. The case has a front lock and can be opened without electrical power. The cash drawer comes with an standard interface for POS printers and is available in black and white..